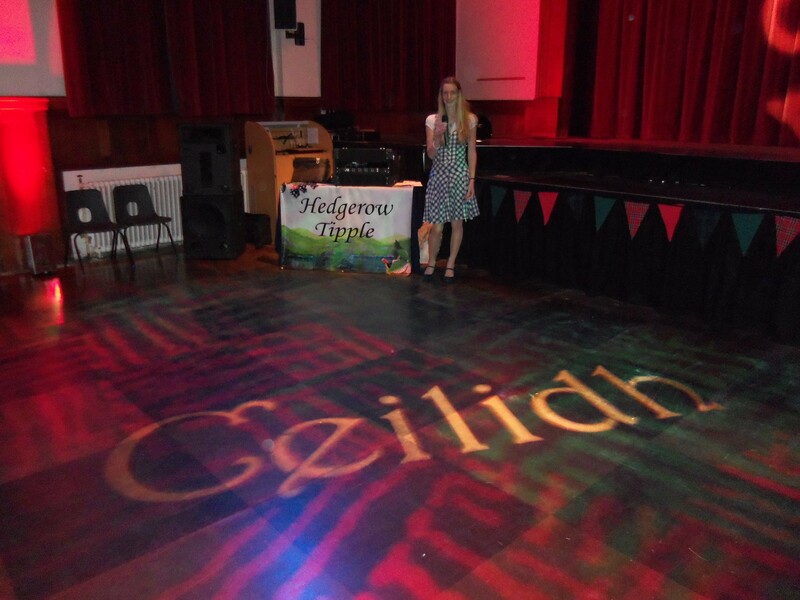 A Ceilidh (pronounced ‘kaylee’) is originally a Gaelic word for ‘visit’ or ‘house party’, an informal gathering of people who inevitably get up to dance when the music starts playing! 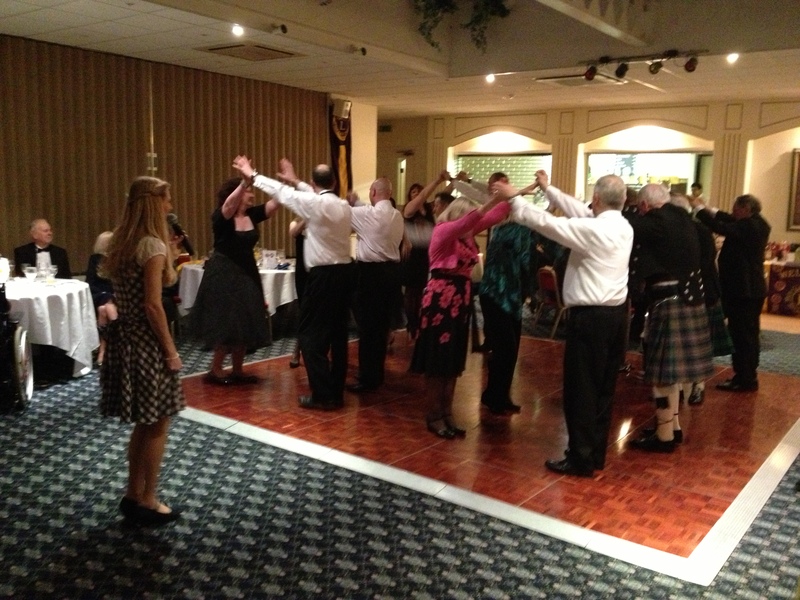 Traditionally a ceilidh or ceili would be danced to Scottish or Irish folk music. These days Ceilidhs or Barn Dances are simply a fantastic way of involving everyone in a celebratory event regardless of age or ability. They can be a wonderful mix of group & partner dances set to Scottish, English & Irish folk music or they can follow more of an American barn dance theme with a hoedown feel. We always use a lively mix of music and dances with contemporary foot-tapping numbers to get everyone up on the dance floor. The dances are led by a ‘Caller’ who guides you through the steps before the music begins so everyone can join in with no pressure to get it right – going wrong is often half the fun anyway. 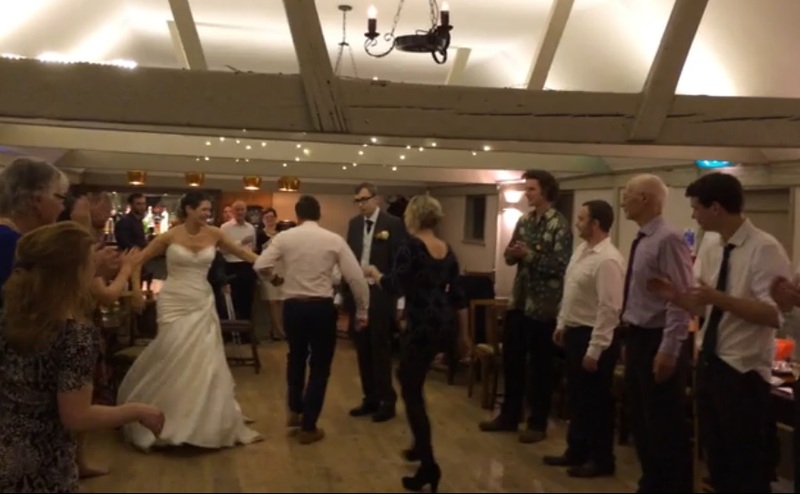 A Ceilidh is the perfect choice for a wedding reception as it always creates a warm & joyful atmosphere, bringing together all ages and capturing the happiness of the special day. Please contact Anna at annapark@ntlworld.com for more information about our themed events. Hiya would you be available for an event on the evening of Fri 15th July from 6 to midnight at a hall in Pirton for a social event for approx 100 people?? Could you please advise how much you would charge if so please. So sorry I didn’t see your request on our website ‘comments’ page I usually answer all queries via my email address. Hope we can be of service again in the future. As it happens we were at a wedding that weekend anyway.